The Football Business Academy and the European Football for Development Network (EFDN) have established an educational partnership to accentuate the importance of CSR in football clubs and support the development of its impact. Football is a powerful tool for community development and for addressing social issues, and EFDN has been doing a great job by creating a platform where European football clubs can share and amplify their CSR efforts. Partnering with EFDN will provide important learning and internship opportunities for FBA Candidates and reinforces our inherent commitment to inspire a new generation of football business leaders who embrace social responsibility unreservedly. The Football Business Academy is delighted to partner with the European Football for Development Network, a growing network consisting of professional football clubs who are committed to their communities and social responsibilities and have the passion to cooperate and engage on a European level. The partnership will see EFDN deliver a comprehensive presentation on the development of CSR in the football industry, providing insights on the societal impact it has but also focusing on the business interests and benefits it has for clubs. Furthermore, the session will identify good and bad practices as well as elaborating on the challenges and opportunities football clubs might face internally or when dealing with their communities and tacklingsocial issues. The FBA Candidates will then be addressed by a member club of EFDN who will share practical case studies of the different CSR projects with them. Afterwards, they will visit one of the projects they carry out and have the chance to see firsthand how it’s being managed and talk with the participants to develop an understanding of how such projects have the power to change their lives. Both organisations will also work closely together to provide dedicated internship and Student Business Project opportunities to FBA Candidates in line with their and EFDN’s interests. These are two vital parts of the Professional Master in Football Business, and provide Candidates with the mustneededand valued practical experience in the football industry. 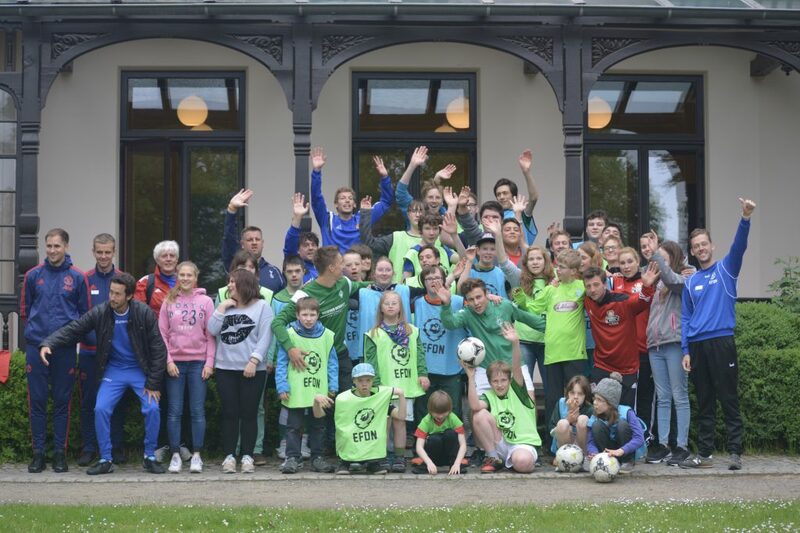 The European Football for Development Network (EFDN) consists of professional European football clubs who are committed to their communities and social responsibilities and have the passion to cooperate and engage on a European level. EFDN aims to promote the power of football as a tool for social development and support the efforts of its network members in reaching out to various target groups in their communities. The Network creates a collaborative environment for knowledge sharing to develop diverse training methods that directly benefit communities throughout Europe. The Network currently consists of 61 clubs from 26 European countries, which benefit from EFDN’s official strategic partnerships with Football Against Racism Europe (FARE), Centre for Access in Football Europe (CAFÉ), the Social Football Club Alliance, European Healthy Stadia Network and UEFA Foundation for Children. The Football Business Academy is a Swiss-based high-leveleducational institution which was created to professionalisethe management of the football industry and facilitate the insertion of qualified professionals and future leaders in the game. Its flagship programme, a Professional Master in Football Business, has been co-developed with football industry experts from around the world around one foremost objective: to provide candidates with all the necessary tools and an optimal learning environment in order tosucceed in this passionate and dynamic industry. Other partners of The FBA include Benfica, Olympique Lyonnais, Soccerex, Girona FC, ESSMA, and Streetfootballworld.